Today’s townland is Slatady. Does anyone know how to pronounce that name? I’ve never heard it spoken. Slatady is located in the Castlereagh Hills, to the southeast of Belfast. The A23 road between Belfast and Ballygowan runs through this townland. This intersection divides Slatady from the townland of Castlereagh. The countrybound carriageway is in Slatady; the (newer) citybound side is in Castlereagh. Some careful thought has gone into the road design, allowing drivers to cross the main road safely from Braniel Road to Manse Road. 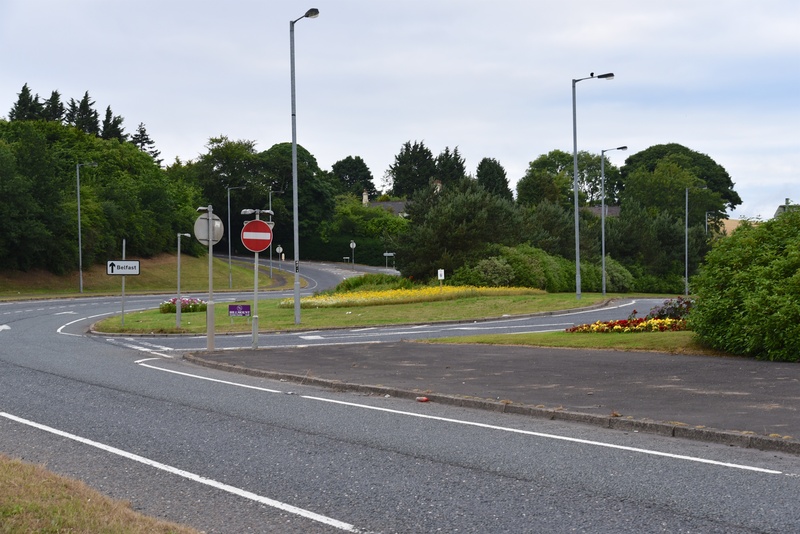 On his Northern Ireland Roads website Wesley Johnston describes this junction as a “rather deviously clever one-way gyratory system”. According to PLACENAMESNI, the name Slatady comes from the Irish Sleacht Aidí meaning ‘Aidí’s memorial cairn or grave mound’. 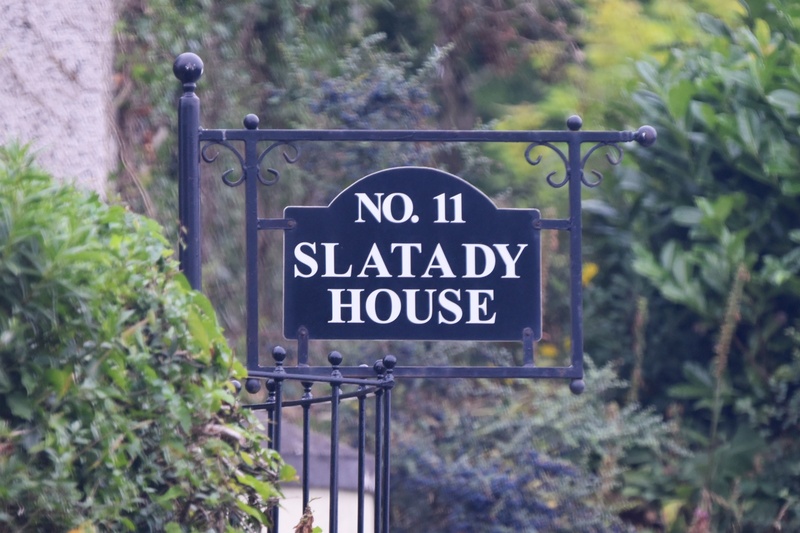 That’s an appropriate name, as Slatady is still used for graves. 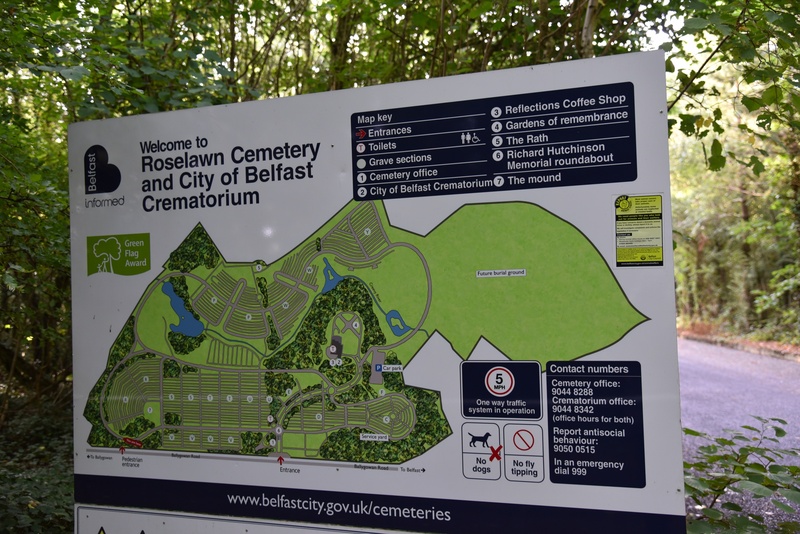 Roselawn Cemetery is a modern burial ground run by Belfast City Council. Still on the subject of graves, this headstone for the Hoy family in the graveyard at Castlereagh Presbyterian Church is engraved with the townland name of Slatady. The rest of Slatady is farmland. 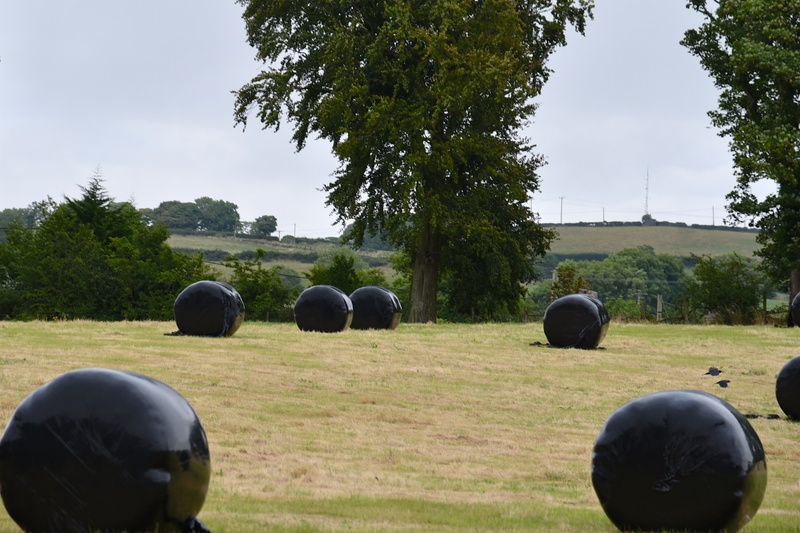 Silage had just been cut and baled when I visited in July 2018. I was struggling to find the name Slatady in print anywhere, until I saw this extract from the timetable for Ulsterbus Route no.12. 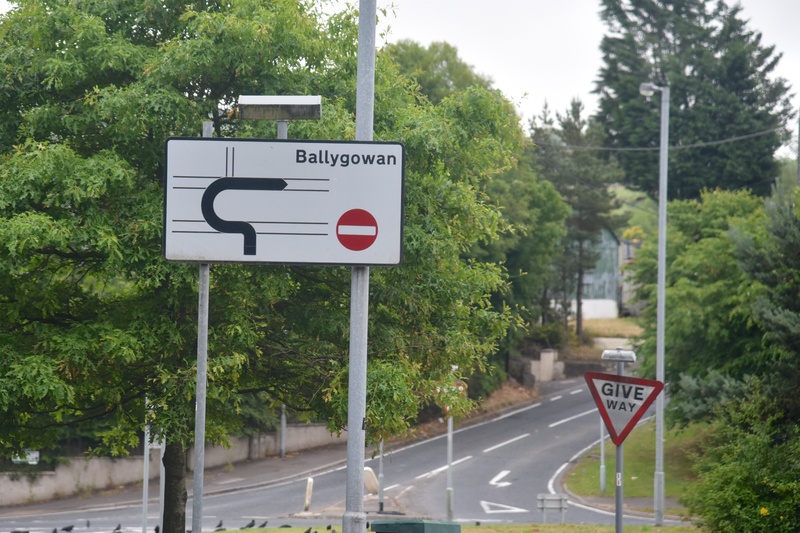 Click here for a link to Wesley Johnston’s Northern Ireland Roads website, describing the “rather deviously clever one-way gyratory system” on the A23 Ballygowan Road at Manse Road. Which townlands border Slatady? To the northwest, Castlereagh. To the northeast, Braniel. To the south, Crossnacreevy and Lisnabreeny. 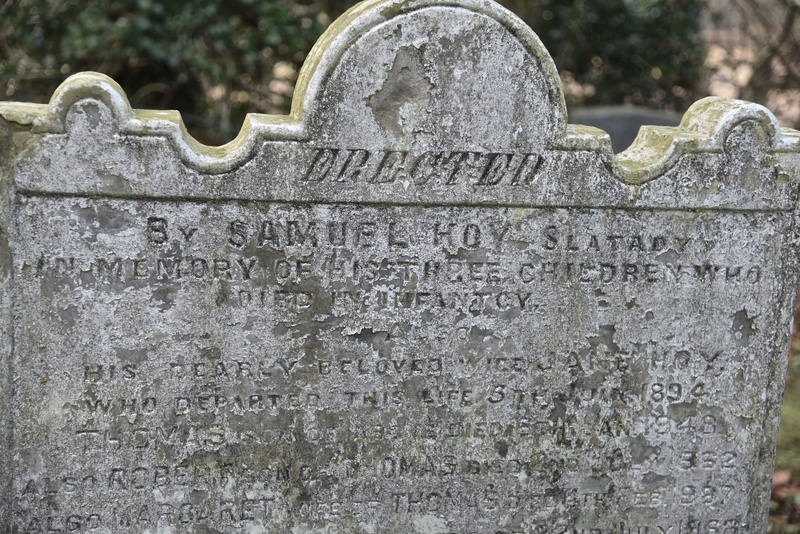 Click here to see my photographs of gravestones relating to Slatady.